Chaise lounges have been popular furniture pieces in Australia for years. Our leather chaise sofa range combine the comfort and convenience of the chaise with the contemporary design that looks great in any home. Add a custom touch of glamour to your living space with a leather chaise sofa and make more of your seating options. 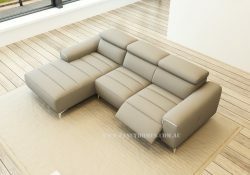 A custom leather chaise couch allows you the choice of two or three seats along with the built-in chaise lounge. Each chaise sofa is made using superb manufacturing techniques. Full customisation lets you add or eliminate features and adjust the size to fit your room. Start by choosing the leather chaise sofa that you like the best. Pick the colour and leather style that suits your taste. Some features include adjustable headrests, fold-down coffee table, and a fold-out footrest for added comfort. A leather chaise couch adds comfort to your living room and the range available here at Fancy Homes are made to be extra tough and highly resilient. They are the pieces of furniture that you live on! Order the leather chaise sofa of your choice and get delivery direct from the manufacturer. Just choose your options on the website and make your deposit. Once your chaise sofa is completed, it will be shipped to you. You’re going to love the way your new leather chaise sofa looks and feels! 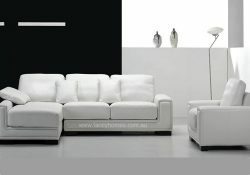 Place your order today and get your new furniture your way, not to mention the best value in Australia, guaranteed!